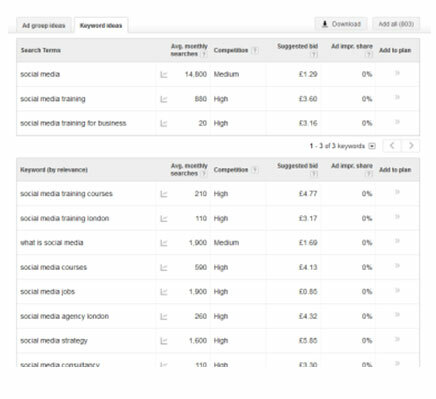 Google’s Keyword Tool is a tool to help you with choosing the right keywords for your ad campaigns, and getting your company website seen by as many people and potential customers as possible. Once your account is set up and you have signed into Adwords click the tools tab on the navigation bar at the top of the screen. A drop down menu will appear. 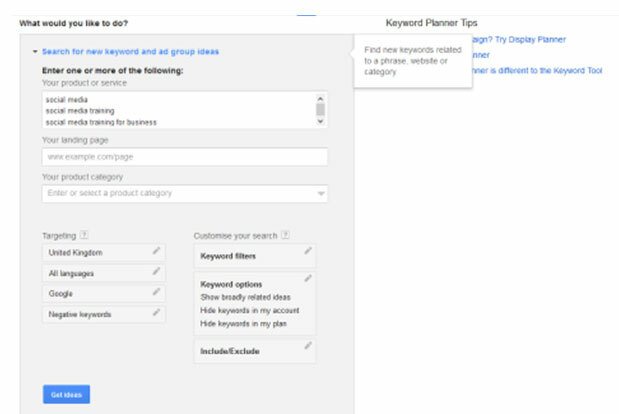 Select Keyword Planner from this list which is the fifth option down. Once you have selected this tab another menu will appear asking you what you would like to do. On this tab you should select the Search for new keyword and ad group ideas. We will go into the other options in more detail later on. A box will appear allowing you to enter keywords into it. Enter about two or three keywords which are related to your business. Scroll down to targeting and change the location to United Kingdom if it is not already set. These are the only parts you will need to fill out, once that is complete click Get ideas at the bottom of the form. A page with a table will appear. This table contains all of the relevant keywords that you could use and how much competition there is for each one. 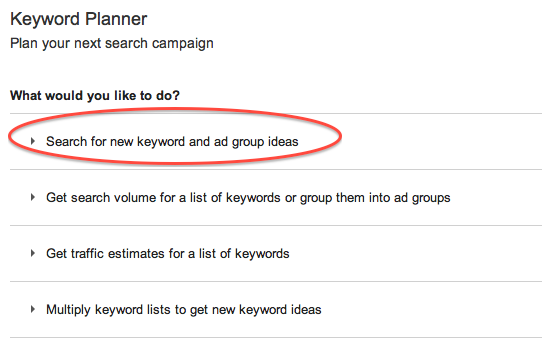 To get a better view click the keyword ideas tab. 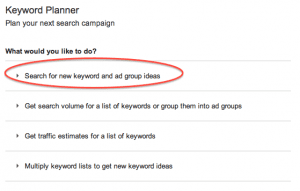 This will bring up your search terms and all of the other keywords you could use. It is better to choose the keywords with medium or low competition as these will be easier for you to get to the top pages of Google and it will be more effective for you in the long run.You can also download this list to get a clearer view of how high or low the competition is. To download the list as an Excel file click the Download tab which is located next to the Keyword ideas tab. This will then download onto your computer and you can save and view it for future reference.